Do We Need G-d? And does G-d Need Us? I came across a meme that said, “I don’t need you. I have WiFi.” Sad. But in many ways a true reflection of the invasion of screens on our lives. Our addiction to digital heroine has us bypassing the people and things we most deeply crave. Most of all G-d.
Whatever your feelings on the medical industry – and it is that, an industry, is it not – or Obamacare, or Trumpcare, we all know swaths of people who would gladly lump if not all doctors per se then the healthcare economy at best, under the same banner as those ancient medics. But what did the sages have in mind? G-d to save them. Think Jonah. On the other hand, the best doctors of that era (seems our problems have a historical precedent) were overly confident in their craft and discounted G-d as the ultimate healer of all flesh. Ours is a society that, by contrast, cruises across the sea in luxurious ocean liners, sails alongside humpbacks, and maps the sea and its bed – often without giving G-d a second thought. It is no longer only the best physicians who think and act as if G-d were irrelevant. We’re all, excuse the analogy, in the same boat when it comes to bloated egos and edging G-d out. Is There a Role for Piety in the Modern Era? Which leaves us with this question: Is there a role for piety in the modern era? Piety! We barely use the word let alone enact reverence. 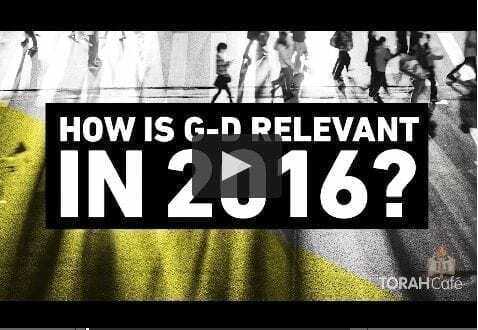 So how is G-d relevant today in a WiFi World that seems to have surpassed G-d with technological wonder and social revolution? That is the question I was asked to present three brilliant minds at a recent JLI Retreat. I opened the floor with one of my favorite poems, Emily Dickinson’s “I Never Saw a Moor.” In eight brief lines she communicates the mystery of contact with the Divine. Although she’s never seen a moor, she “knows” what the heather looks like. Likewise, although she’s never spoken with G-d or “visited in Heaven”, she is certain of the spot. There are things we know from deep within, from the place (in the words of the mystics) of the “inner knowing of the heart”. It is a mysterious dynamic. By definition G-d is beyond our understanding, a “moor we have never seen”. If we could understand G-d we would be G-d. Yet, we have an innate knowing of a Presence beyond ourselves. And we are invited, even required, to have a relationship with this Being Who, it appears, transcends the ability of our minds to grasp and hearts to touch. How are we to create the bond? And does it even matter? 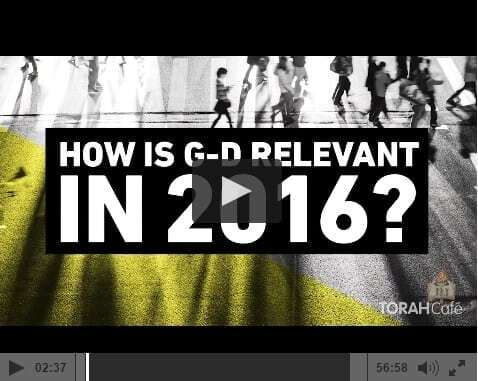 Each scholar addressed the question of “How is G-d relevant today?” I followed up with some questions. Of Rabbi Simon Jacobson I asked why, if G-d is everywhere and the Space in which we live, do we need commandments? He undercut the question and paved an path for fresth thinking. Rabbi David Aaron responded to a question about why we suffer and what we can do about it. (He quoted one of my favorite Method Isms, “Believe that G-d believes in you. Love that!) And Mr. David Sacks addressed how we can make prayer more meaningful. If you are into prayer, and if you are not (yet), his answer is a keeper.